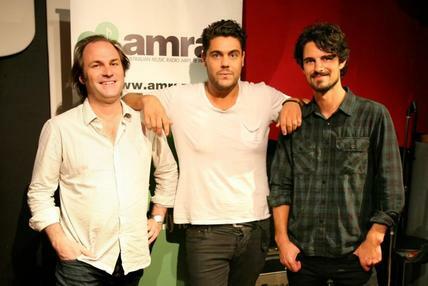 Critically acclaimed musician Dan Sultan is the first Community Radio Amrap Ambassador, which recognises artists who are consistently supported by community radio through the Australian Music Radio Airplay Project (Amrap). Sultan has remained one of the most popular artists among broadcasters since Amrap distributed his debut independent album to stations in 2006, and Sultan has forged strong relationships with community radio as his career has grown. Sultan said that Amrap and community radio are extremely important for Australian musicians and he appreciates the support he’s received. Community Broadcasting Association of Australia (CBAA) president Adrian Basso said the Ambassador initiative is a way to celebrate the powerful bond between community broadcasters and Australian musicians. Access the full media release and high res photo. Broadcasters can access an interview with Dan Sultan about his appointment via AirIt. Use our free or low-cost services to distribute your music to community radio stations nationwide.